THREE MEN HAVE been arrested after gardaí carried out 29 different searches of premises in Limerick, Tipperary and Cork. Around €13,500 worth of suspected cocaine and cannabis herb and €8,000 in cash were seized following searches carried out last night. 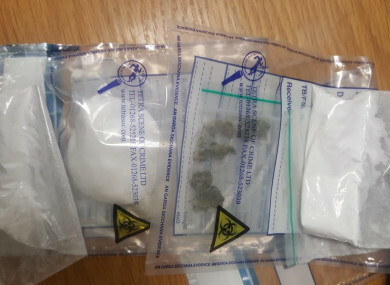 During the operation, three arrests were made, nine detections for possession of drugs and approximately €7,000 of cocaine and €6,500 cannabis herb was seized. The three men who were arrested are currently detained at Henry Street and Bruff Garda Stations under Section 4 of the Criminal Justice Act 1984. Email “Over 100 gardaí involved in drugs blitz as cocaine, cannabis and cash seized in searches”. Feedback on “Over 100 gardaí involved in drugs blitz as cocaine, cannabis and cash seized in searches”.